NEW PRICE // A MUST SEE! You will Fall in LOVE with this Gorgeous One Story Home Located in the Resort Community of Lucaya Lake Club. That Florida Feel, notice the Picturesque, Palm Tree Lined Street as you Arrive...This one-story home offers tons of upgrades and *Special Features Granite. Stainless Appliances, Vaulted Ceilings throughout, Oversized Tile, New Carpets, Screened in Lanai/Patio AND a Private Fenced Yard! Come see the many upgrade options that have been added to the home. This home features a beautiful The home is Energy Efficient with Double Pane Windows and offers Lots of Natural Light and traffic patterns are a breeze as you walk through this open concept. A great room design complimented by vaulted ceilings and generously sized rooms. The Oversized Master "Retreat" offers a 15 x 10 sitting area! *SAVE $ ON YOUR INSURANCE - This Home includes HURRICANE SHUTTERS** The Lake Lucaya Community features a 78-acre lake; accessible to all residents for canoeing, kayaking, paddle boarding. A rapidly growing community with Amazing resort-style amenities also includes a club house, fitness center, splash park, playground and swimming pool. 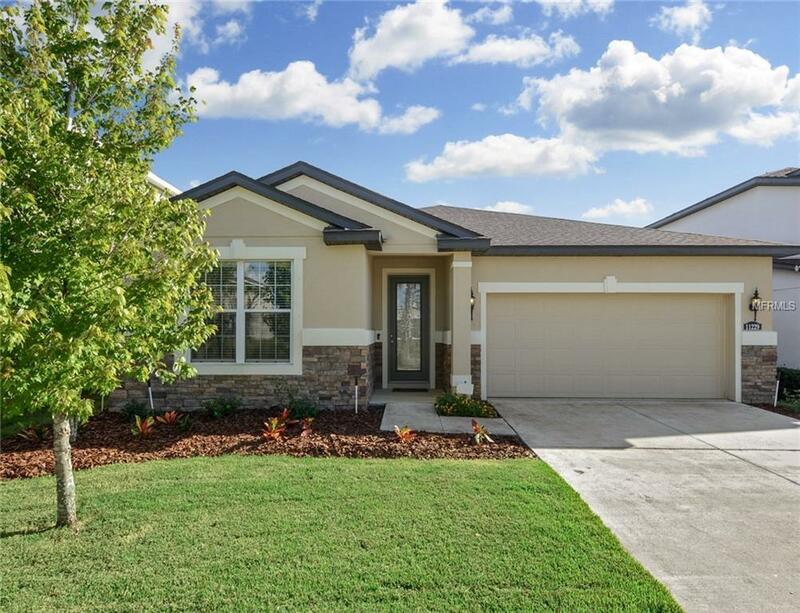 This Home is Located around the corner from a Brand New Publix and minutes to great schools, shops, a plethora of restaurants, recreation spots, Interstates, Gulf beaches, Golf Courses, St. Joseph's hospital and So Much More. Call Today and Schedule Your Private Tour of this Home, Priced to Sell Quickly in an Amazing Community~ Call Today and Schedule Your Showing!